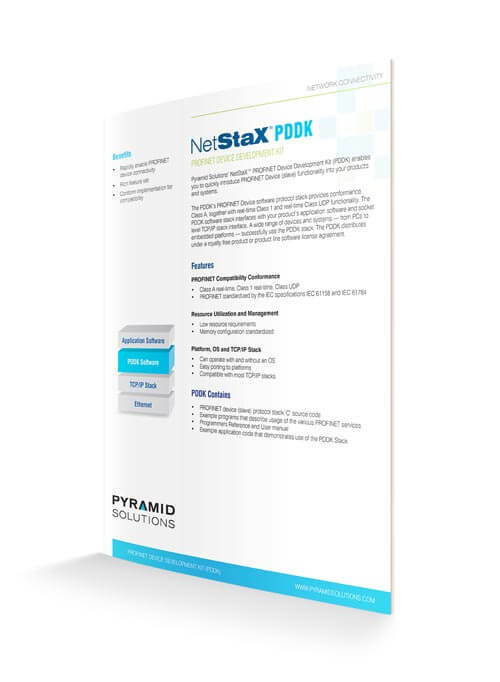 The NetStaX™ PROFINET Device Development Kit (PDDK) enables you to quickly introduce PROFINET Device (Slave) functionality into your products and systems. The PDDK provides conformance Class A, together with real-time Class 1 and Class UDP functionality. This software stack interfaces with your product’s application software and socket level TCP/IP stack interface. 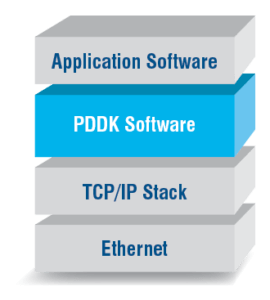 A wide range of devices and systems – from PCs to embedded platforms – successfully use the PDDK stack. The PDDK distributes under a royalty-free product (single product) or project (series of similar devices) software license agreement.